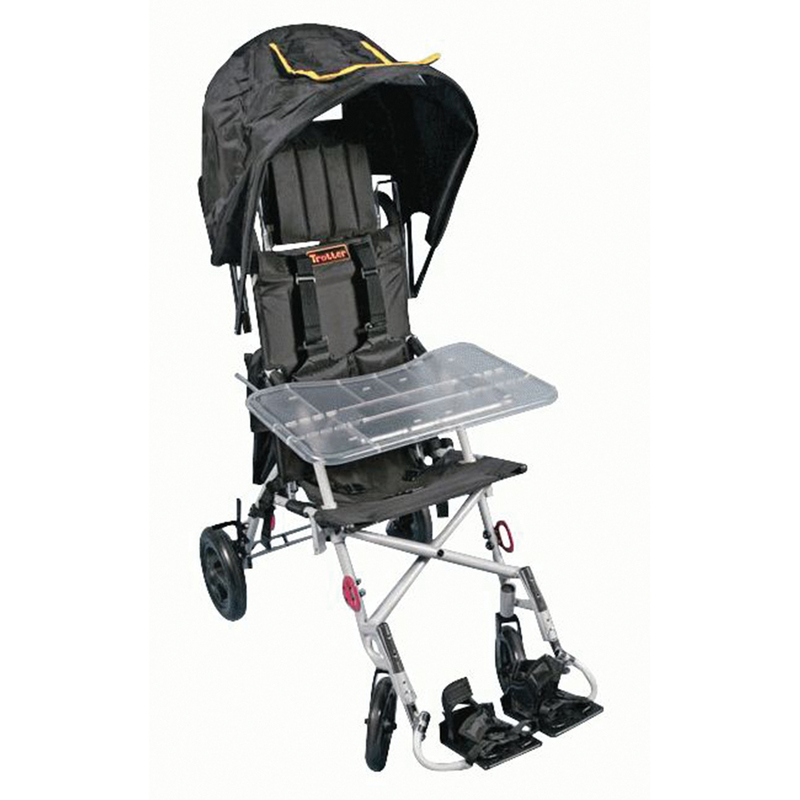 Provides trunk stability and an easy to clean surface when used with a Trotter mobility chair. The tray's width can be adjuated to fit all Trotter sizes. Ideal for use in school at play or for feeding.